The vast majority of electric guitarists play with guitar effects, which serve to modify the sound of the guitar and to enhance the playing experience. 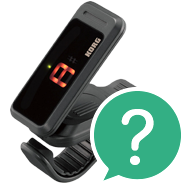 These accessories come in the form of a box connected between the electric guitar and the amp or guitar combo. Switched on, this box modifies the signal coming from the guitar so that the new sound is played out of the speaker. The most popular and widely-used effects are ‘distortion’ boxes. These effects distort electric guitars to produce the quintessential hard rock and heavy metal sound. An undistorted electric guitar essentially sounds similar to an acoustic guitar. Call 020 8089 1481 (Mon-Fri, 9 a.m.- 5 p.m.) and our experts will be happy to help you choose the right instrument; you can also send us your questions by email to . Overdrive effects simulates the ‘overdriving’ of a tube amp, with the resulting sound of the electric guitar being characteristically ‘cracked’ and ‘gritty’. Overdrive took hold in music during the 1960s. 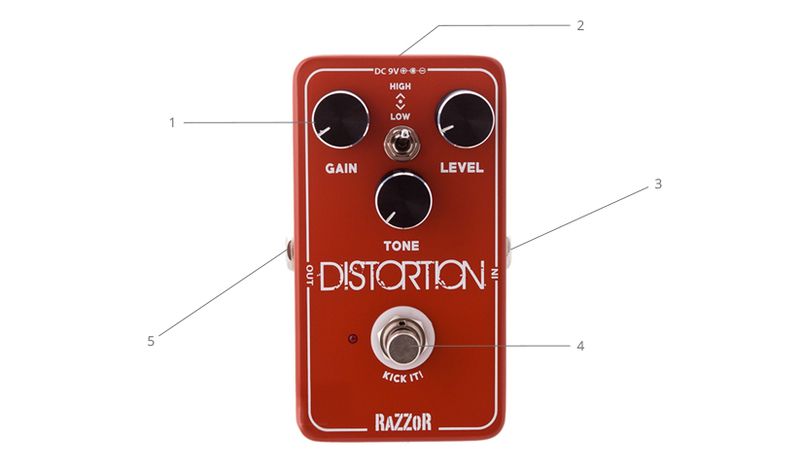 Distortion is even more aggressive than overdrive, has a longer reverb and can be reliably found in all metal genres. You definitely know equalisers from HiFi players and the like. They serve to amplify or reduce certain frequencies such as bass, midrange and treble. These effects strengthen/weaken the frequency in the given range of roughly o +- 12 to 20 decibels. Phaser effects change the volume in the chosen frequency band while also adding to the original signal its phase shifted copy. In practice, it seems as if the phaser is breathing. Tremolo is one of the oldest effects, and thanks to its simple technical realisation, it is often built into amps such as Vox and Fender. The effect regularly repeats the attenuation and re-strengthening of the signal, the speed of which can be adjusted. When set properly, a nice, swinging and pulsating effect is achieved without changing the resulting character or height of the sound. Modulation effects such as chorus, digital echo and especially reverb began to appear in the mid-1970s. Reverb is one of the most frequently used effects, and many guitars are in fact sold with this feature built-in. Depending on the setting, the effect delivers an echo sound ranging from a small room up to a large hall. Chorus attempts to imitate the unison of multiple instruments playing simultaneously by dividing the signal and adding others to the original (lightly modified). Above all, when used on a pure (undistorted) guitar, the chorus adds volume and richness to the sound. Although chorus sounds best when connected in stereo, the result with a mono connection is also very good. One of the first delays appeared in the 1950s, and the famous Delay Memory Man was introduced by EHX in the 1970s. In principle, delay generates an echo that returns and repeats depending on the setting. The repeated sound is a precise copy of the original that you play, and the volume of the echo weakens with each repetition. The wah-wah effect is named after the sound mimicking the human voice that is produced by stepping on the pedal that is typically included. This type of effect is very popular, especially with solo players on either acoustic or electric guitars. The looper enables the guitarist to record short passages and play them back in a repeating loop. You can then play a melody, sing, etc., in these loops. When buying guitar effects, don’t forget important accessories that will come in handy, especially the cables you will need to connected the individual effects to one another. When choosing an effect, check to see if it comes with an adapter (we provide this information in the product description) or a 9-volt battery (standard). If you plan to use more effects at the same time, a multi-adapter allowing you to connect multiple boxes will be useful. To use multiple effects you will also need a pedalboard, i.e. a case to which you attach the effects so that they are always ready and connected in the proper order.